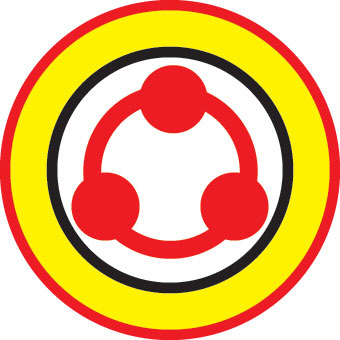 KUCHING: United People’s Party (UPP) has urged Chief Minister Datuk Patinggi Abang Johari Tun Openg to reject outright Deputy Chief Minister Tan Sri Datuk Amar Dr James Masing’s suggestion that Gabungan Parti Sarawak (GPS) should spend Sarawak’s RM31 billion reserves ‘to win the hearts of Sarawakians’ and ‘ensure GPS stays in power’. UPP secretary-general George Lo also in a statement released yesterday urged Abang Johari to make sure that the reserves be preserved and protected by the government. UPP was responding to Masing’s suggestion that the government should spend its reserves before the next state election, which has to be called in three years’ time, for fear the money would fall into the hands of a new government if GPS loses power. “We are appalled that a deputy chief minister should make such an irresponsible statement. With all due respect to Masing, that suggestion is ridiculous and is unworthy of any Sarawak official, much less a deputy chief minister,” Lo said. The reserves, he said, belong to the people of Sarawak and not GPS or any political party. “The reserves are savings built up over decades and are kept to ensure financial security for our future generations,” he said, adding it was also not an election fund to ensure that GPS would stay in power after the next election. “Any politician, whether he is from GPS, Pakatan Harapan (PH) or BN (Barisan Nasional), who thinks he can spend away our children’s future is destined to lose the election,” he said. Meanwhile, Minister of Tourism, Arts, Culture, Youth and Sports Datuk Abdul Karim Rahman Hamzah said he was shocked by Masing’s suggestion. He said unless the suggestion was a joke, Masing had really gone far astray in his outlook and it would not go down well with the younger and educated Sarawakians and voters. “Honestly, I’m shocked when I read the statement today (Friday) and I’m sure all Sarawakians feel the same way too.. it is very irresponsible to even make such as suggestion, which is akin to ‘scorch earth’ policy in war whereby the retreating army would plunder and destroy farmland, water and electricity supplies before retreating, to prevent the enemy from enjoying them,” he said. Abdul Karim, who is Asajaya assemblyman, felt that the government should not spend the reserves indiscriminately just because it did not want the money to fall into the opponent’s hand. “Since young we are trained to be prudent in our spending to save money for rainy days. Even if GPS were to lose, we have to be responsible towards the reserves as it is the people’s money,” he stressed. He also said that he was aghast that a component party leader had no confidence of winning the Sarawak election, which must be held by 2021, adding that the ‘agi idup agi ngelaban’ spirit must stay. “Reserves are meant for future contingency or funding needs so as long as there is always a net surplus every year, it should be fine. “But of course, the best thing is to have a holistic plan and budget, so maybe a more prudent approach is to leave reserves equal to two years of annual expenditure,” he said. Sarawak has the largest reserve among the states in the nation as based on various news reports, Johor’s reserves were reported to stand around RM3 billion in 2016, Selangor around RM3.18 billion in 2017 and Penang around RM1.8 billion in 2017. Sabah had previously reported a reserve of around RM4 billion but this was recently refuted by its Chief Minister Datuk Seri Mohd Shafie Apdal who alleged that Sabah currently has no reserves.